POLL: Who Do You Want To See In A Group With Kutt Calhoun? Everyone knows that Kutt Calhoun can slay a track a thousand different ways. Whether he’s creating a monster banger like Raw And Un-Kutt or destroying bars on Tech N9ne’s Bad Season, Kutt always brings the heat. Having been paired with so many artists, it’s interesting to see how Kutt adapts to each style, and how well he connects with every artist. From Krizz Kaliko to Brotha Lynch Hung, Kutt has helped create some of the best collabos on Strange Music. 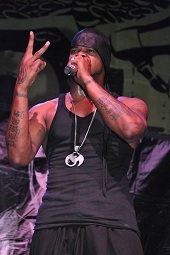 We would like to know who you would like to see in a group with Kutt Calhoun. Vote below for who you would like to see in a group with Kutt Calhoun. Who Do You Want To See In A Group With Kutt Calhoun?